No matter what industry you are in, Iron City has the executive garments to keep you looking confident and professional. Choose a custom garment program designed to enhance the image and professionalism of your operation – while significantly reducing your costs! Iron City provides Executive Premium Press services on Oxford & button-downs shirts, and delivers them to you on a regular basis. 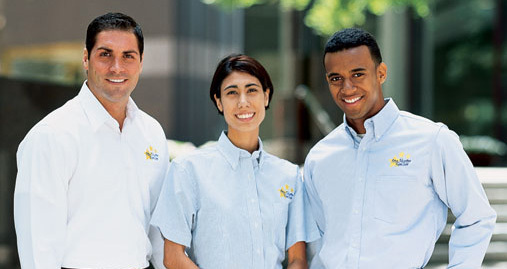 Shirts will have that dry-clean finish and make you and your team look their very best at all times. Embroidery and personalization are also availability, and our experienced team will assist you to find a look and feel that is perfect for you and your operation. Contact us today for a free quote on our executive garment services!